An unnamed man, M, arrives at a remote house on the fringe of a vast wilderness and soon disappears into a world of silence and stillness. His one mission: to find the last thylacine, the fabled Tasmanian tiger. She is said to have passed into myth but a sighting has been reported..
Last week was an interesting week and the last thing on my mind was writing my blog. It was Friday before I realised I’d been remiss. I’m not sharing the reasons in public but they took a lot of my time. Today I’m sharing yet another text from uni. Julia Leigh is an Australian author with a legal background. She’s only written a couple of books but if this one is anything to go by then she’s going to be a powerhouse in Australian writing. He passes through the cool dark avenues of a pencil-pine forest, feels the soft fragrant needle carpet beneath his feet. In here, he thinks, one could sleep. Leigh contrasts the beauty of the countryside with a dysfunctional family. Lucy Armstrong has potential mental issues and is held together by her young daughter, Sass, and even younger son, Bike. Lucy’s father thinks being in Tasmania is good as it’s far away from nuclear fallout. David Martin is looking for the elusive Tasmanian Tiger, his motives aren’t clear until near the end. 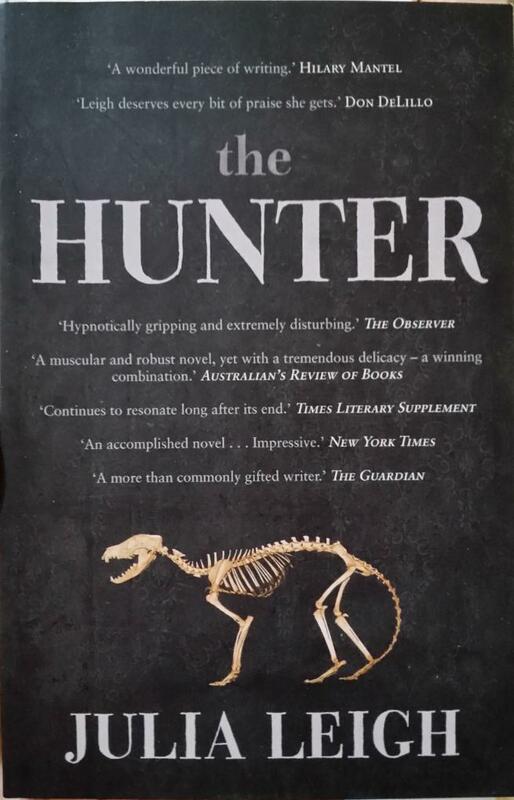 During most of the book Leigh uses the letter ‘M’ as reference to him to make it clear to us that his name is fleeting and as elusive as the Tasmanian Tiger. I loved this book. The writing was clear and beautiful. Leigh seems to have a talent for telling the reader exactly what is happening on the surface while keeping so much hidden until an appropriate time. There is so much I want to say but every time I go to say something I realise I’ll be giving away spoilers. I’m not saying the book wouldn’t be readable and good knowing all the spoilers but I shouldn’t take this experience away from you. I can’t recommend this book enough. And here’s an affiliate link for you. It’ll give me a couple of cents to add to my coffee fund.